Travese City, known for breathtaking views and four seasons recreation, boasts amazing amenities, and is taking the epicurean world by storm. You would think you were in a major metropolitan city with the number of options and quality of food and wine available. Part of Northwestern Michigan College, The Hagerty Center, home to The Great Lakes Culinary Institute, is where the majority of instruction takes place. 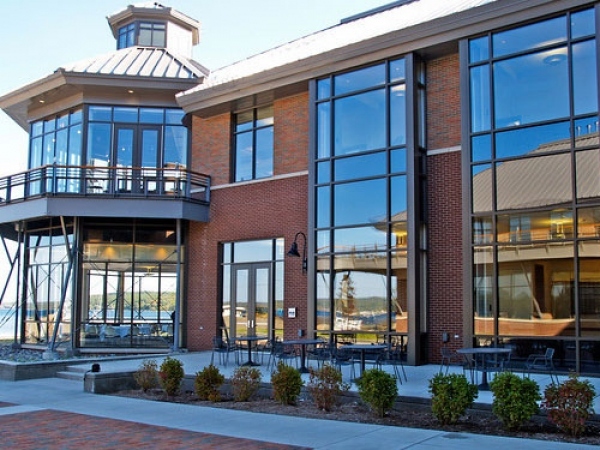 The Hagerty Center is a premier waterfront venue for lifelong learning in Traverse City. It provides state-of-the-art conferencing facilities for local, regional, national and international groups. CityDescribed.com (August 2015) listed Traverse City as one of 20 Best Small Towns in America. Zagat.com (July 2015) named Traverse City one of 6 Hot Food Destinations to Visit This Summer. CCRA Travel Network (June 2015) listed Traverse City as one of the Top 10 U.S. Cities for Summer 2015 Hotel Stays. 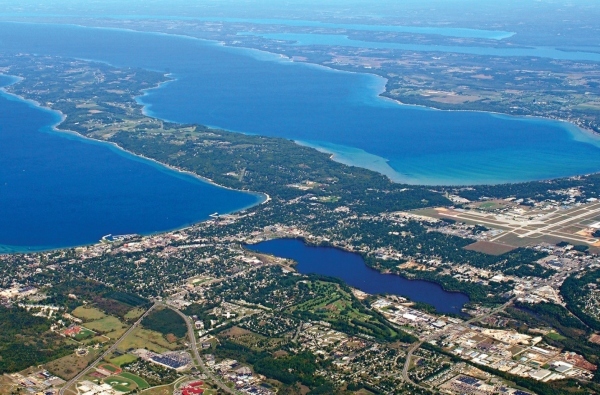 Country Living (May 2015) listed Traverse City as one of 20 Most Charming Beach Towns Across America. Traverse City is within a comfortable driving distance of many of the Midwest's largest cities, including Detroit, Chicago, St. Louis, Indianapolis, Columbus, Cleveland, Toronto and more. Fly into Cherry Capital Airport (TVC). The aiport is located about 5 minutes from all Pigstock TC events. Room blocks have been reserved at West Bay Beach Hotel (listed below). Mention Pigstock TC for the discounted rate. This hotel is walking distance to the Hagerty Center where classes take place on Monday, Tuesday and Wednesday.